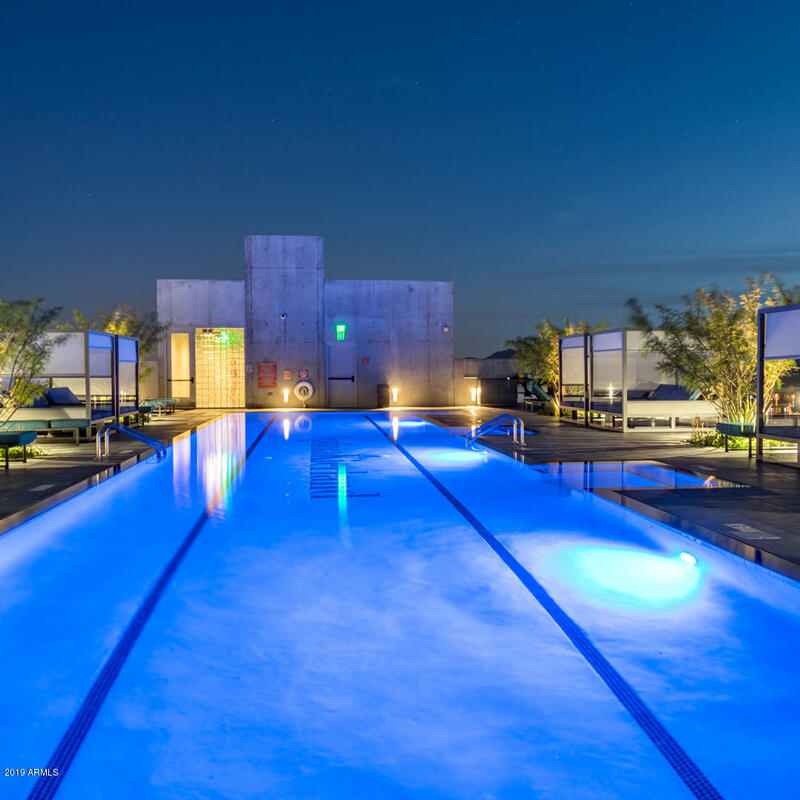 Opulence. 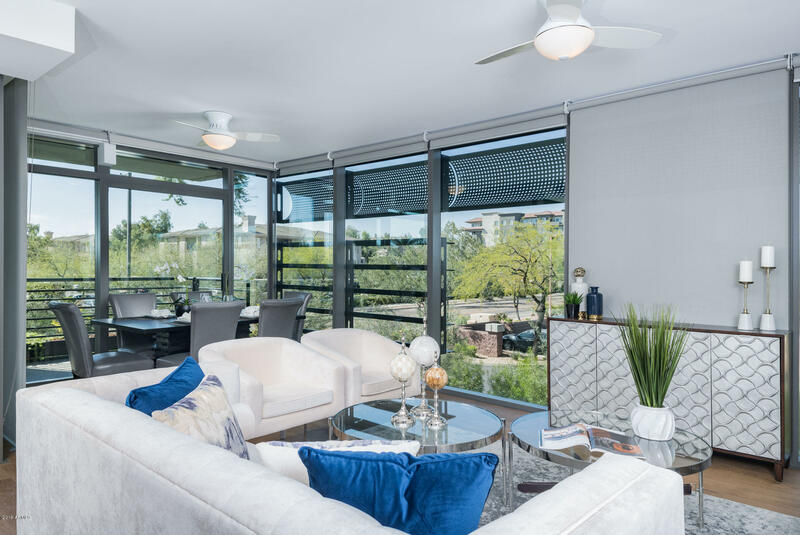 That's the word that most comes to mind when considering this open-air condominium. 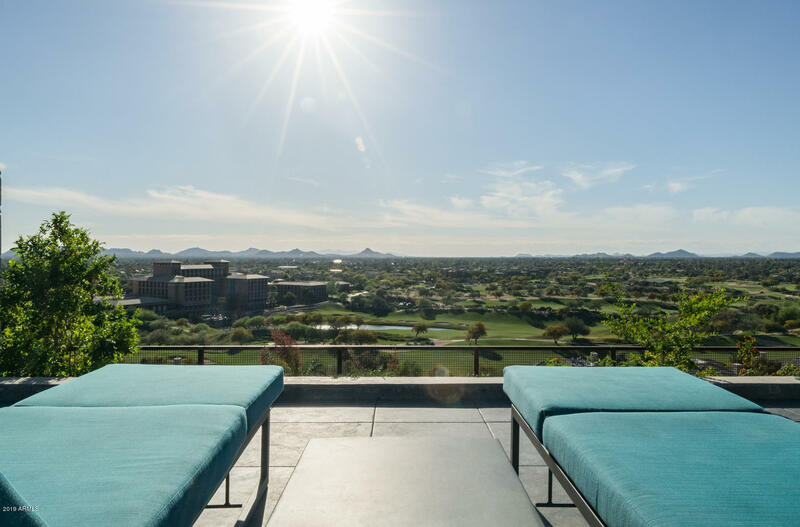 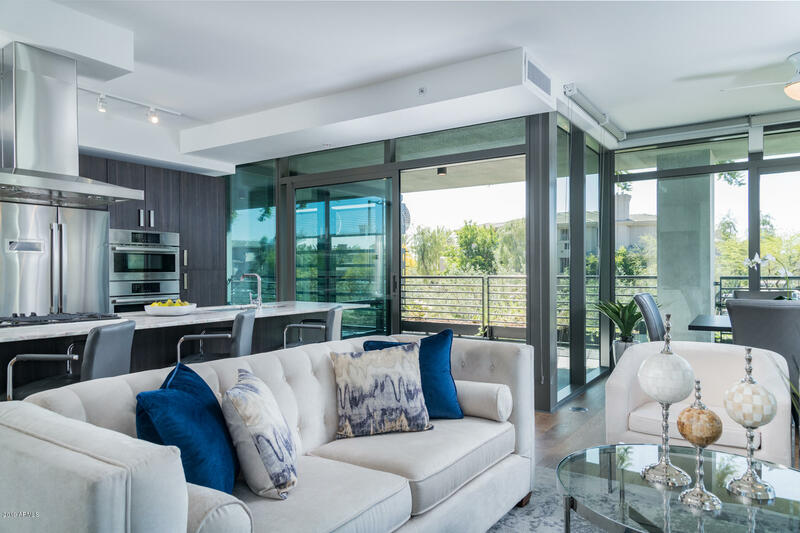 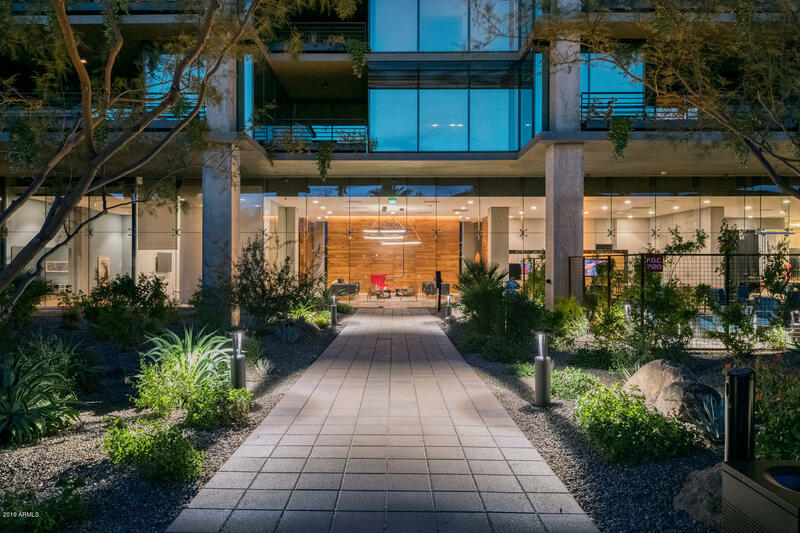 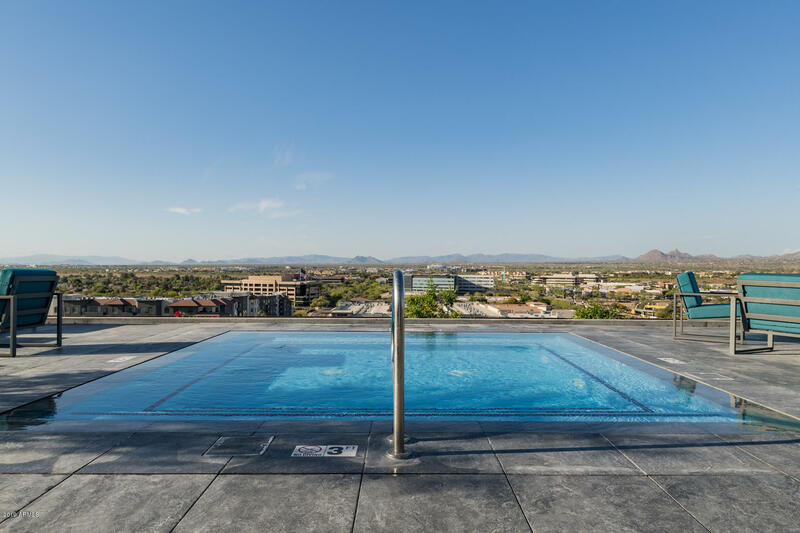 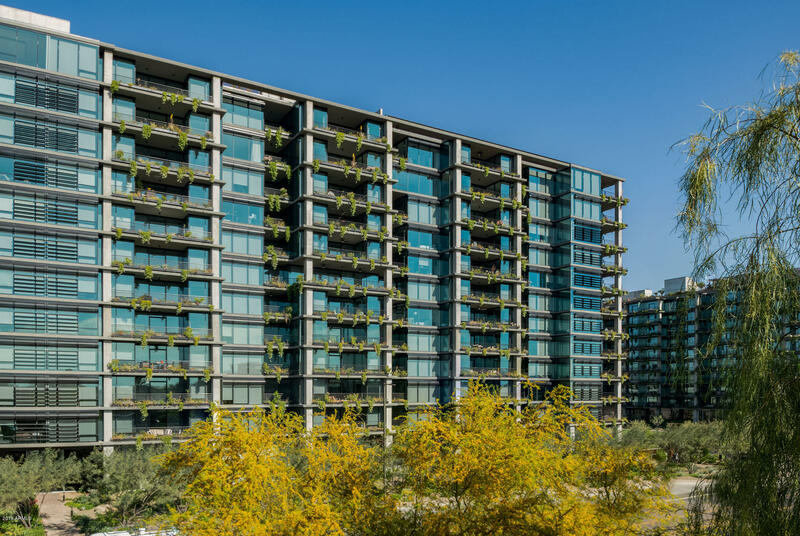 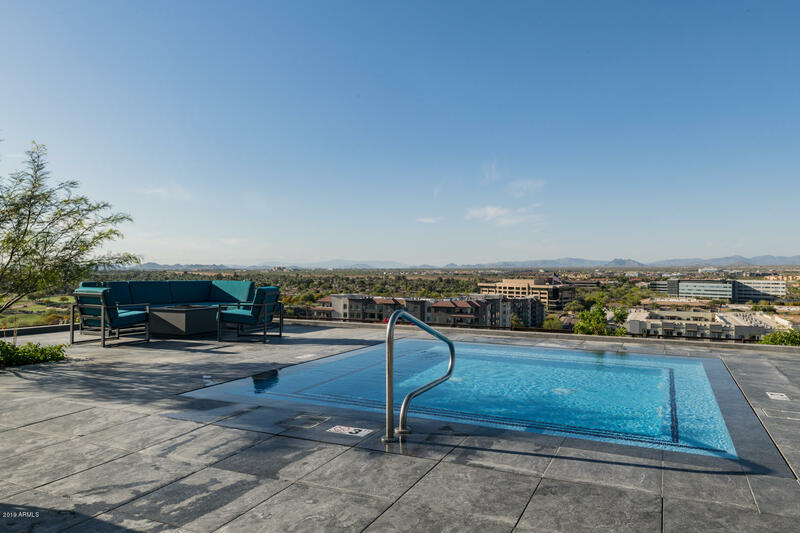 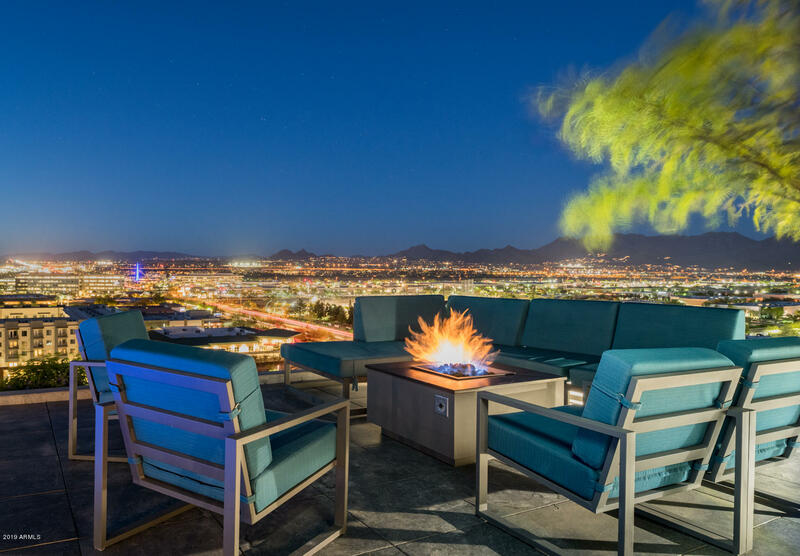 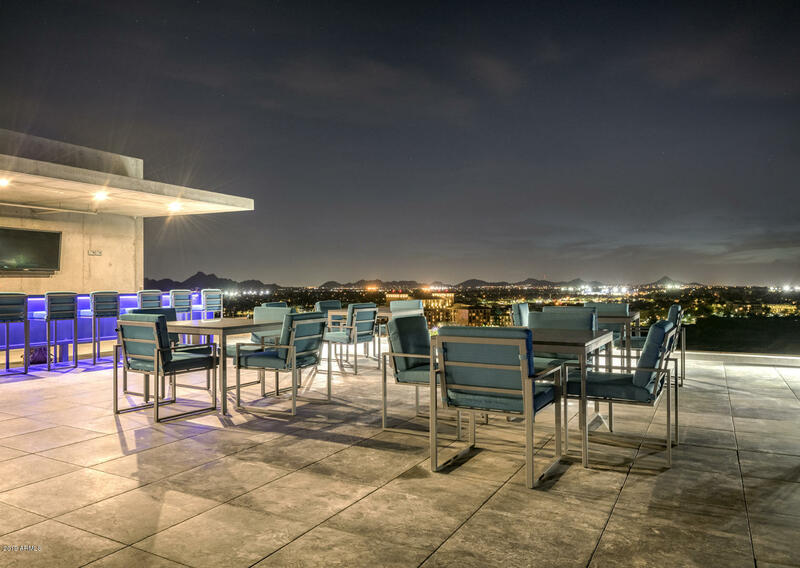 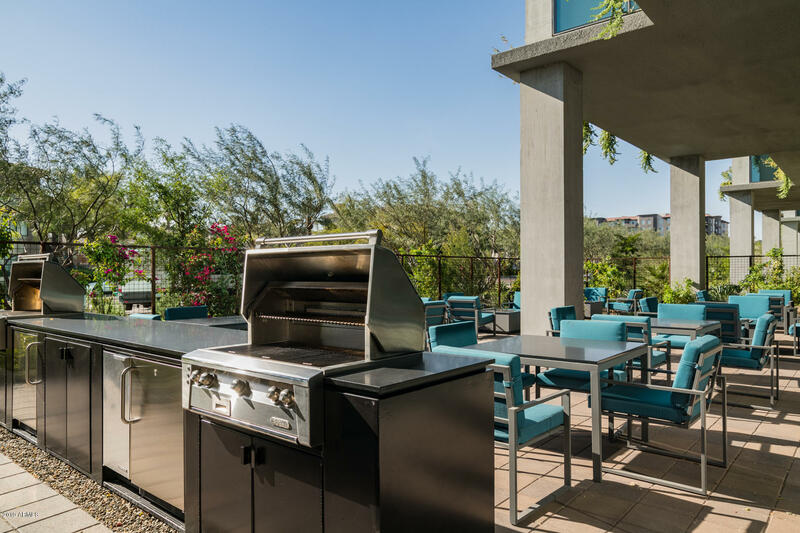 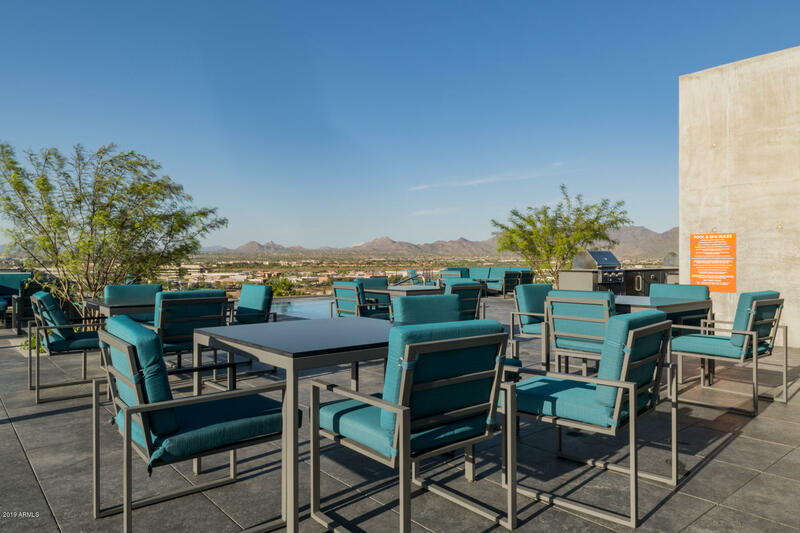 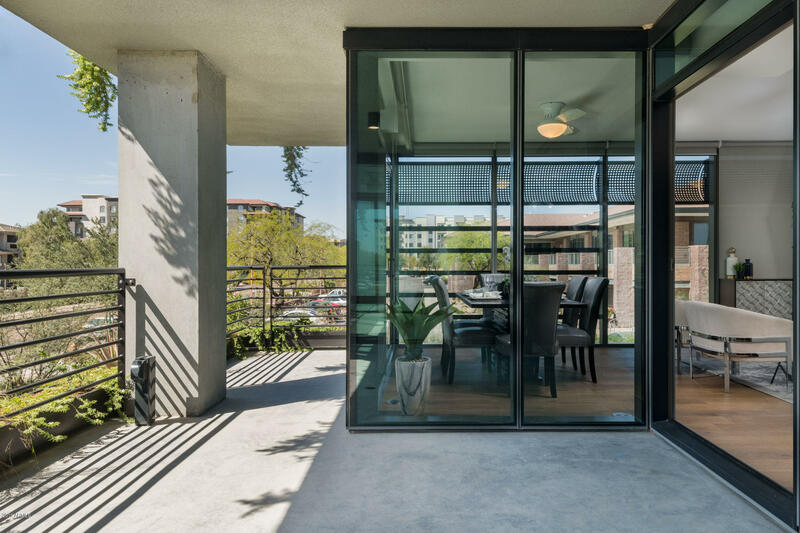 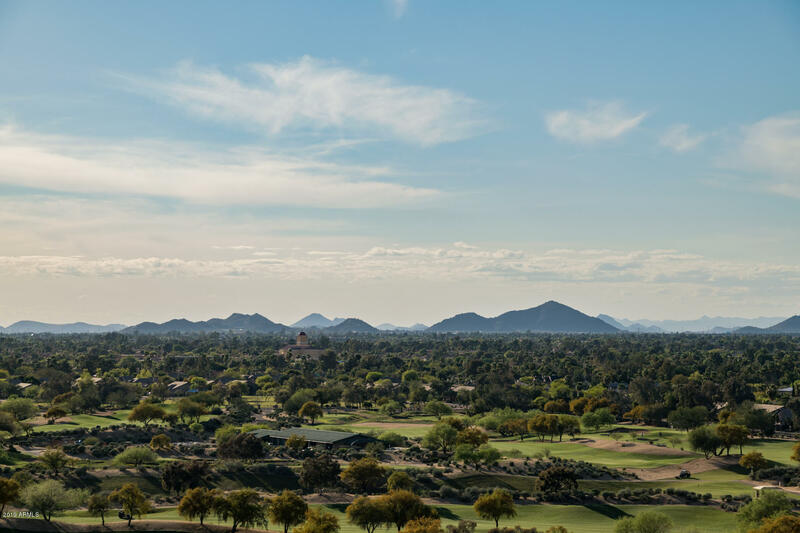 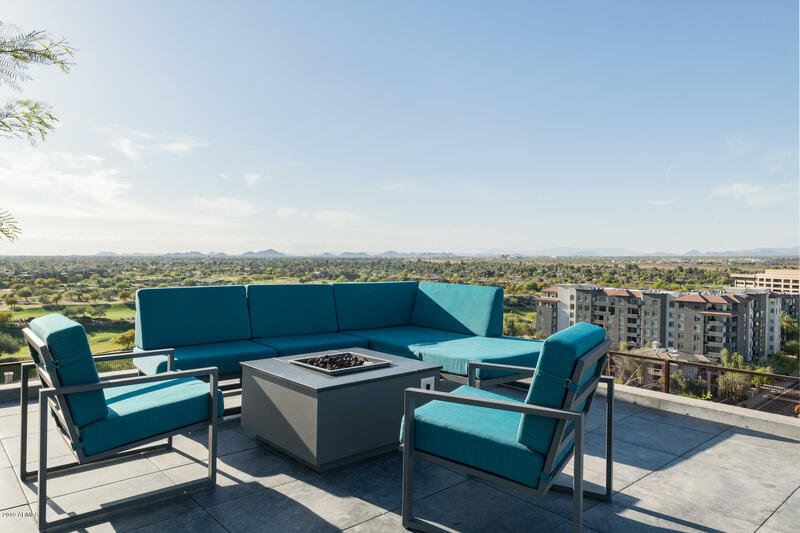 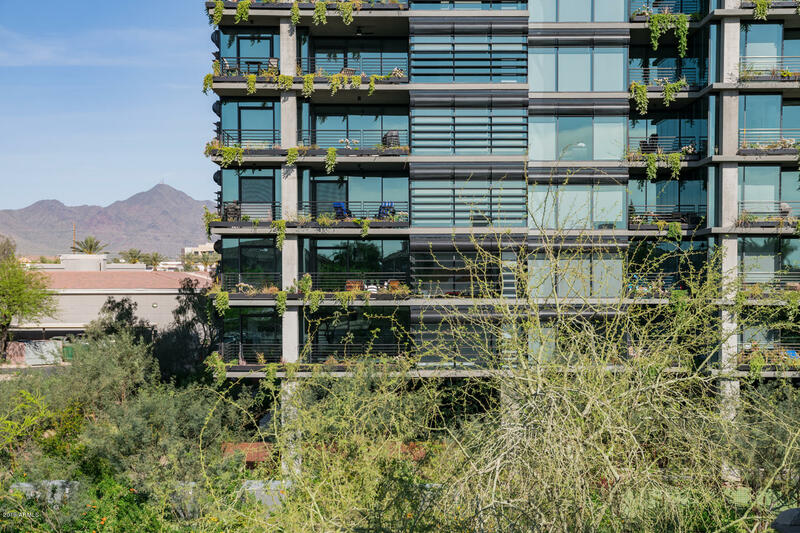 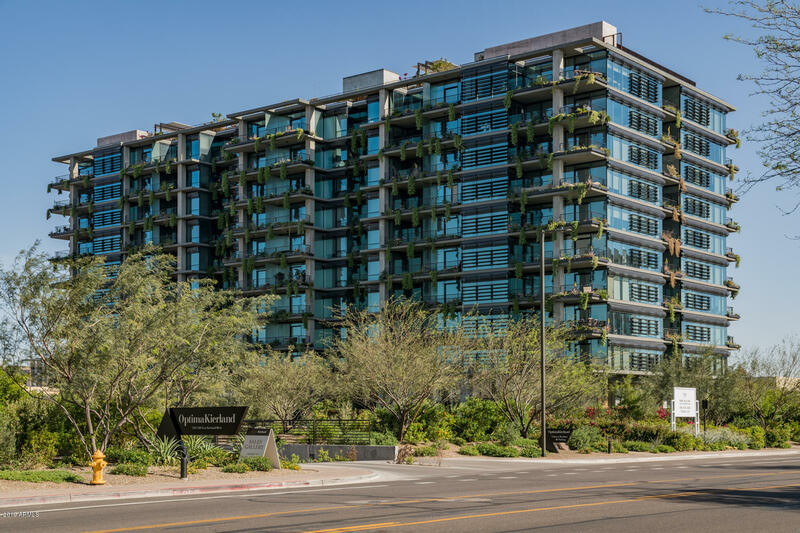 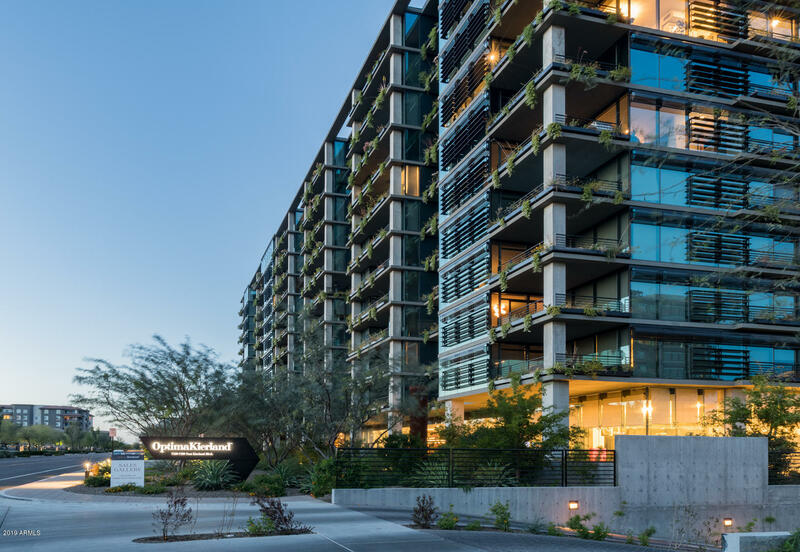 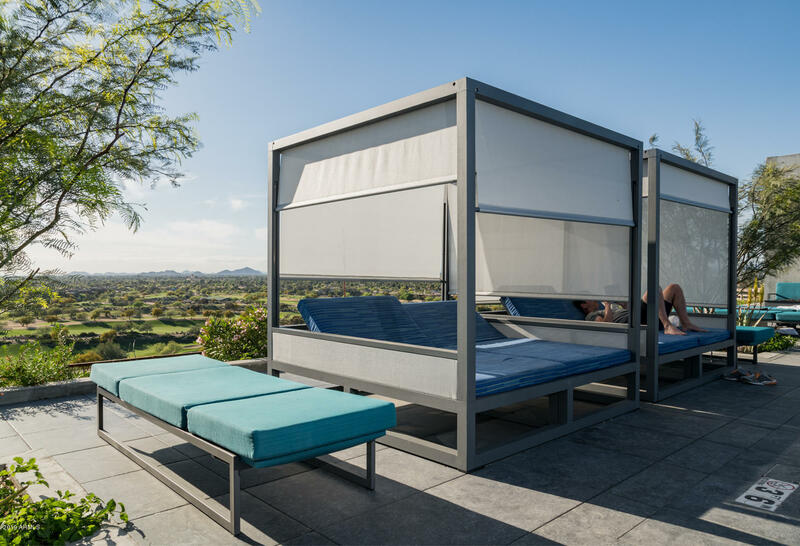 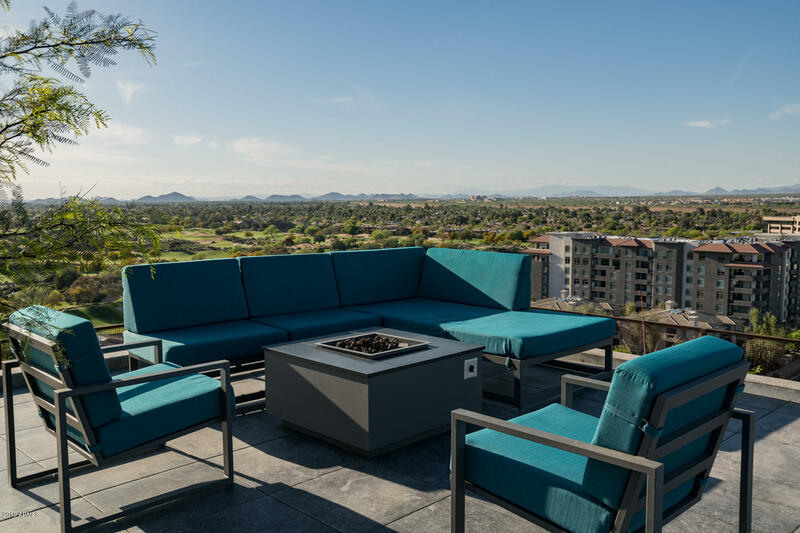 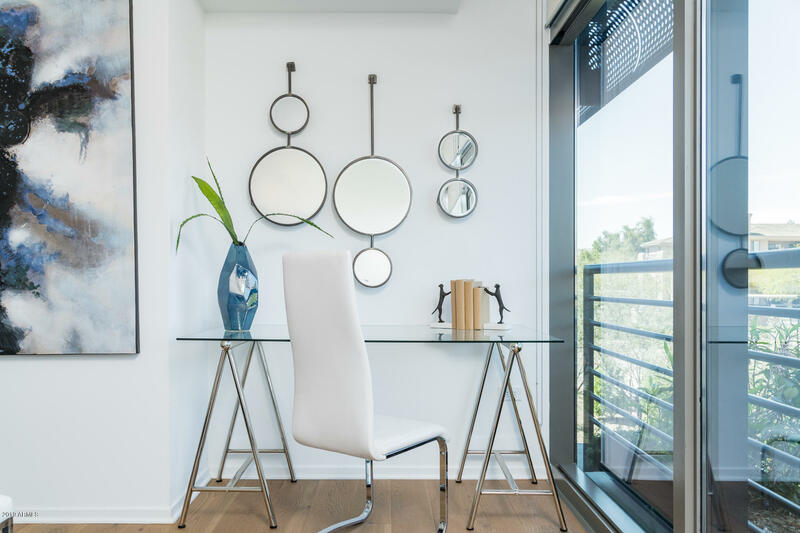 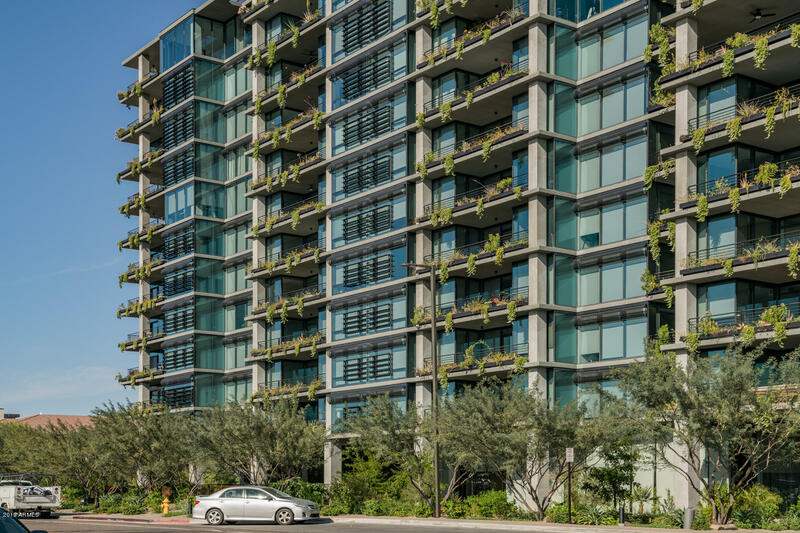 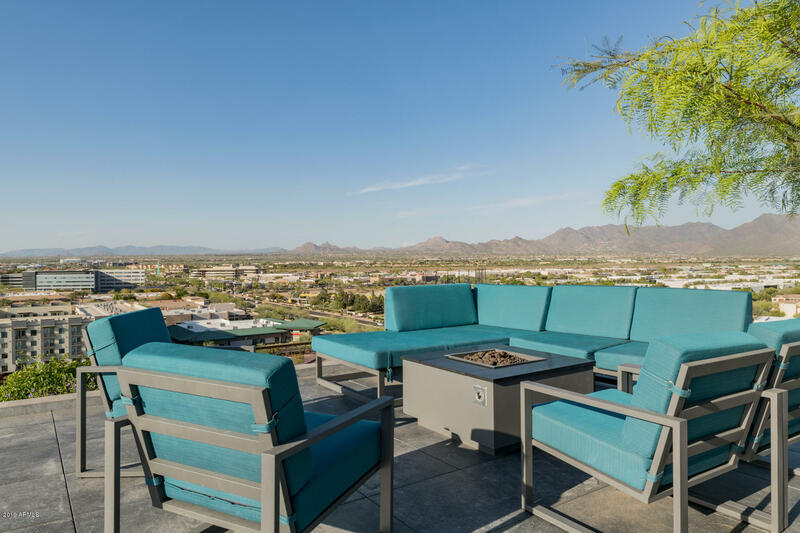 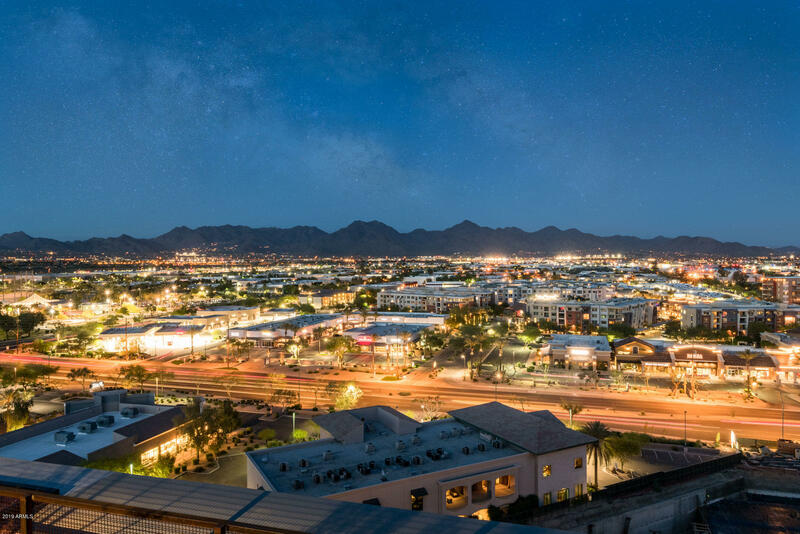 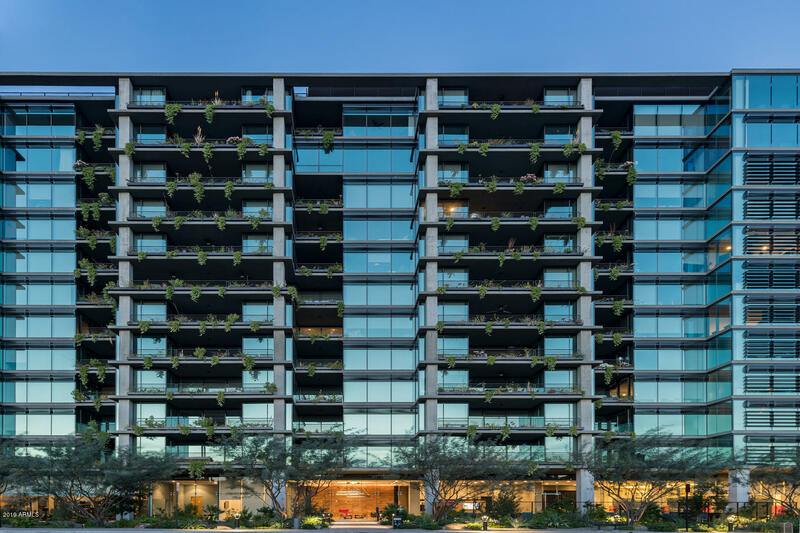 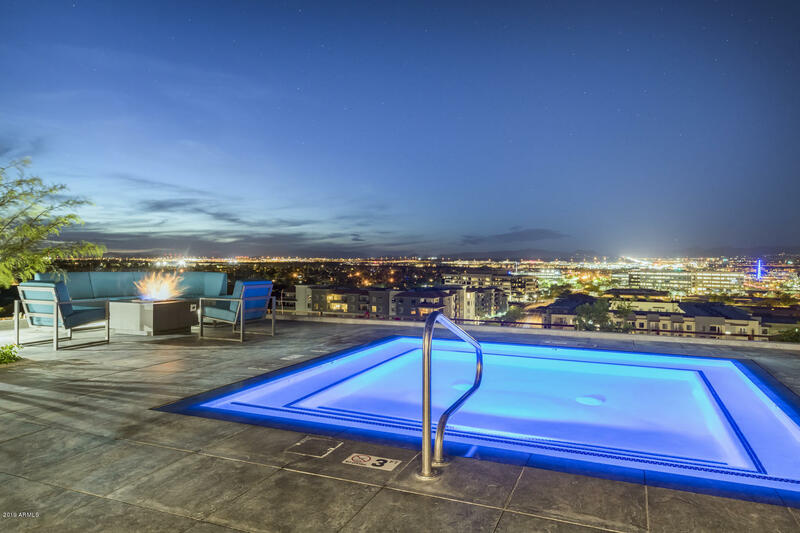 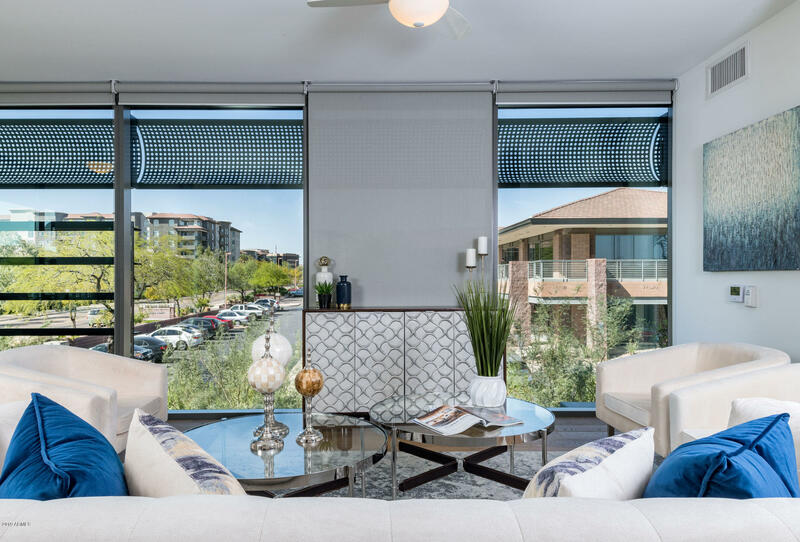 Located in the heart of North Scottsdale within steps of world-class shopping and dining at Kierland Commons and Scottsdale Quarter, this 1,658 square-foot corner-unit condominium offers three bedrooms and two baths. 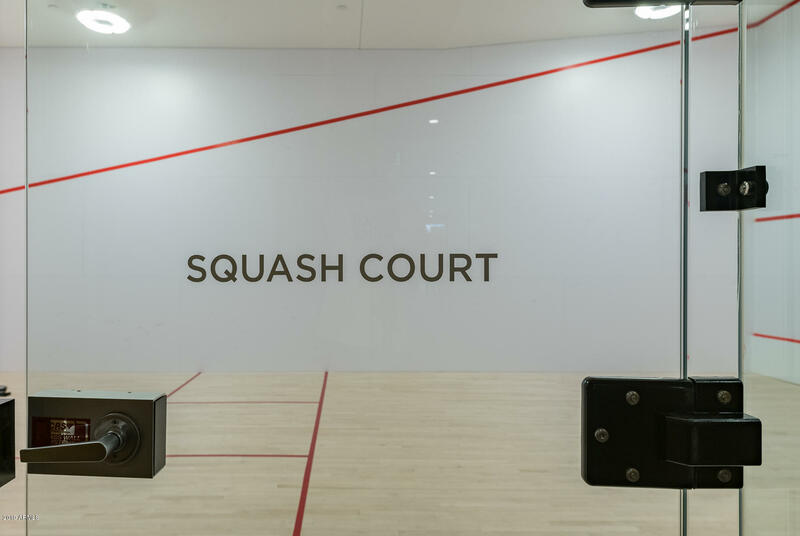 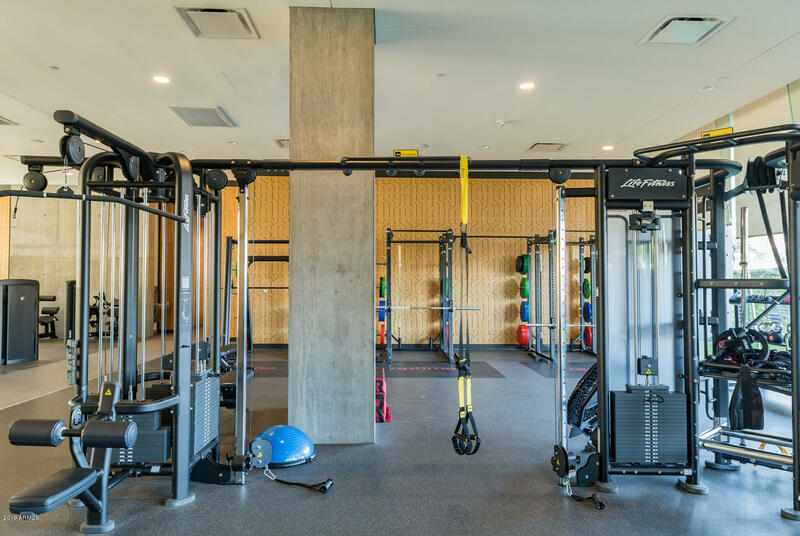 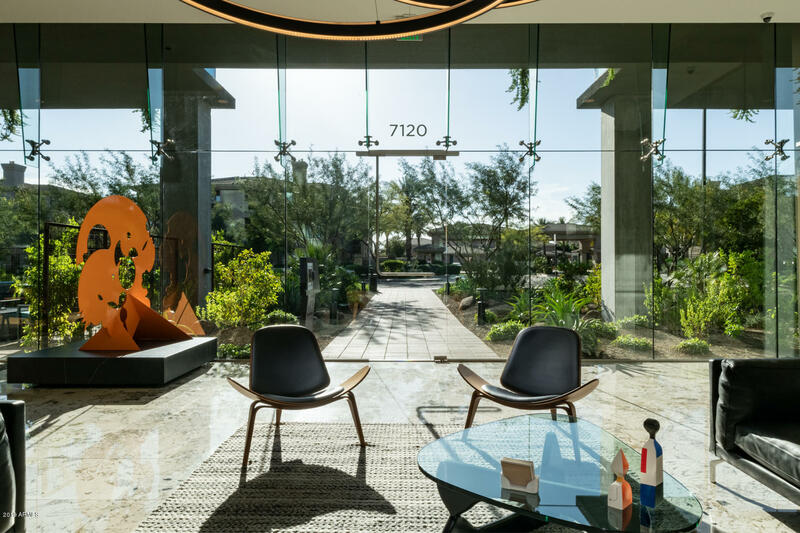 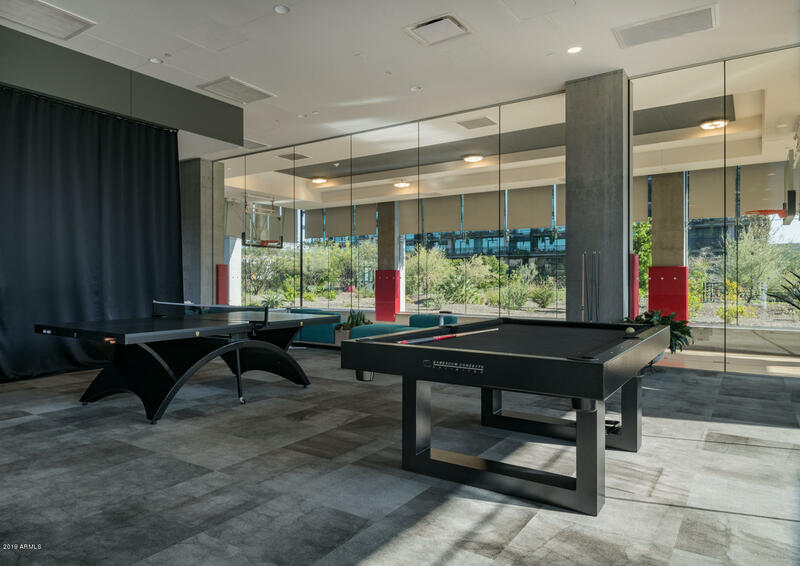 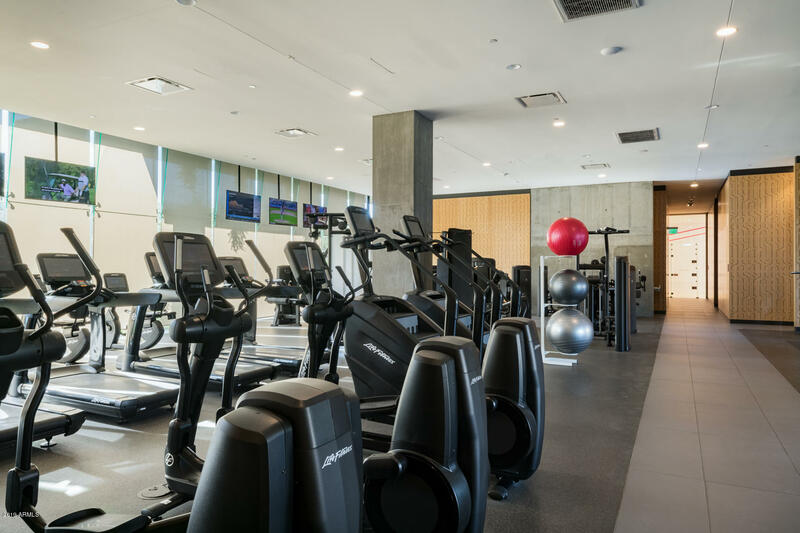 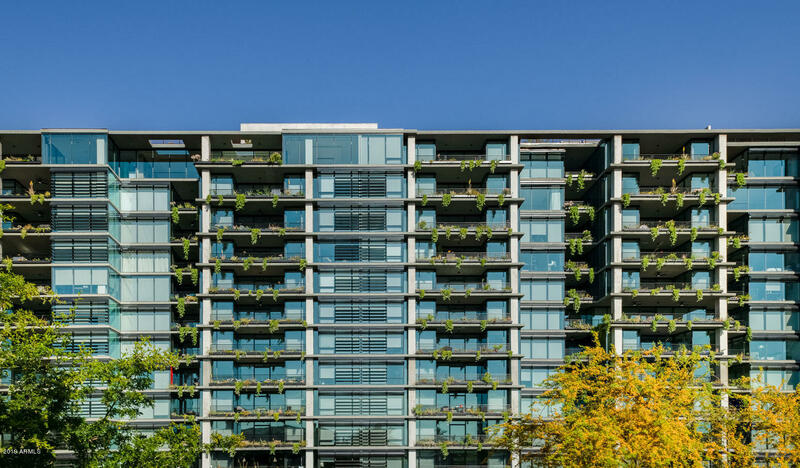 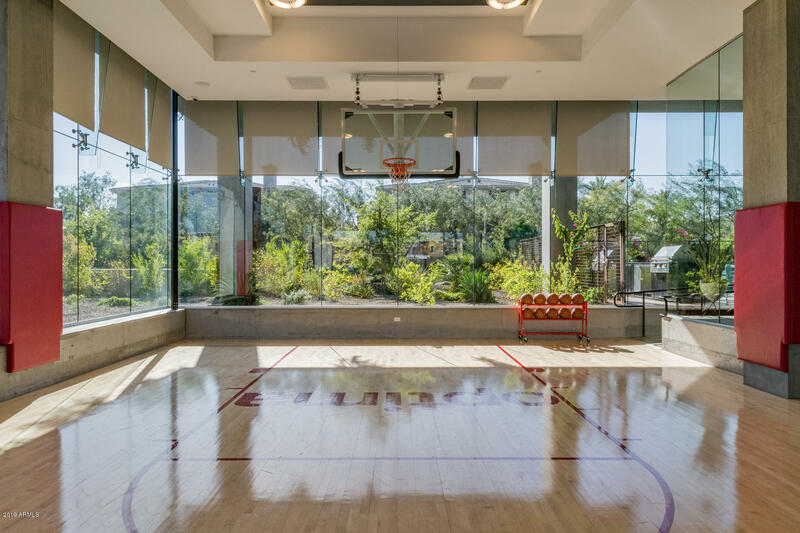 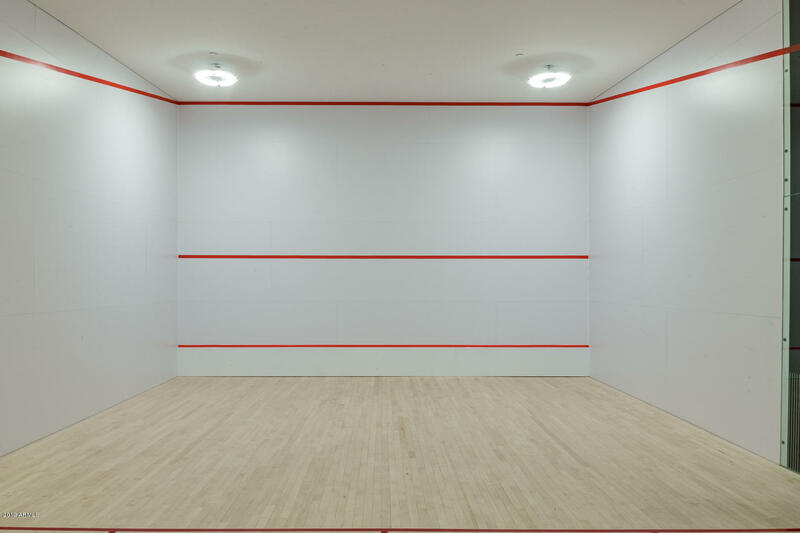 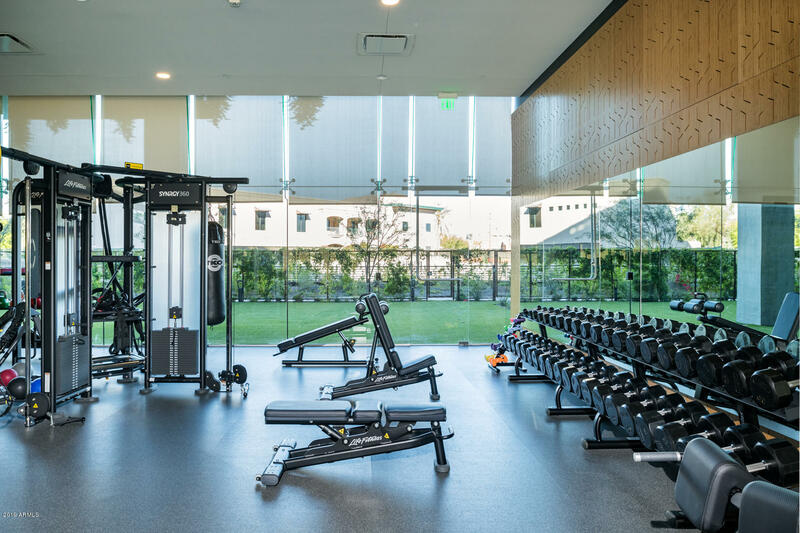 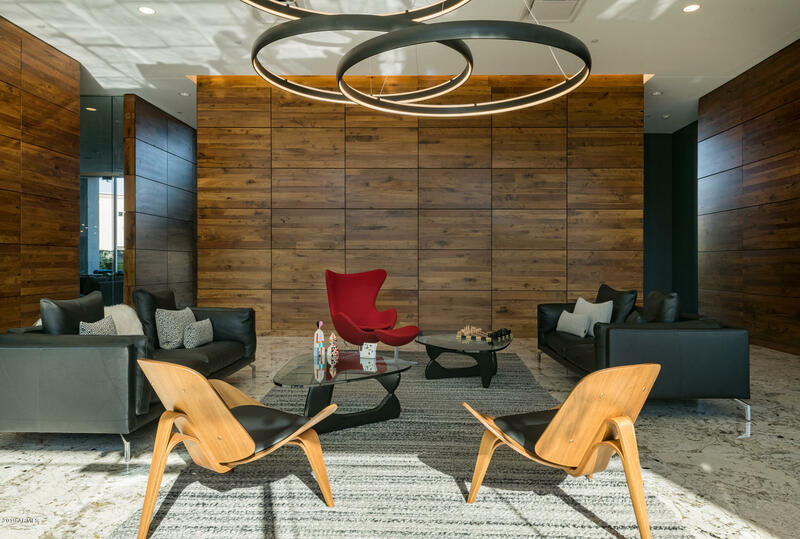 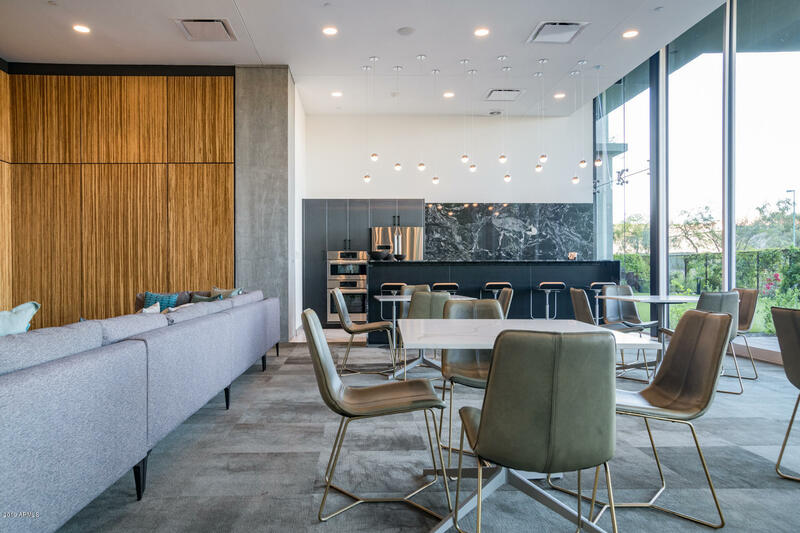 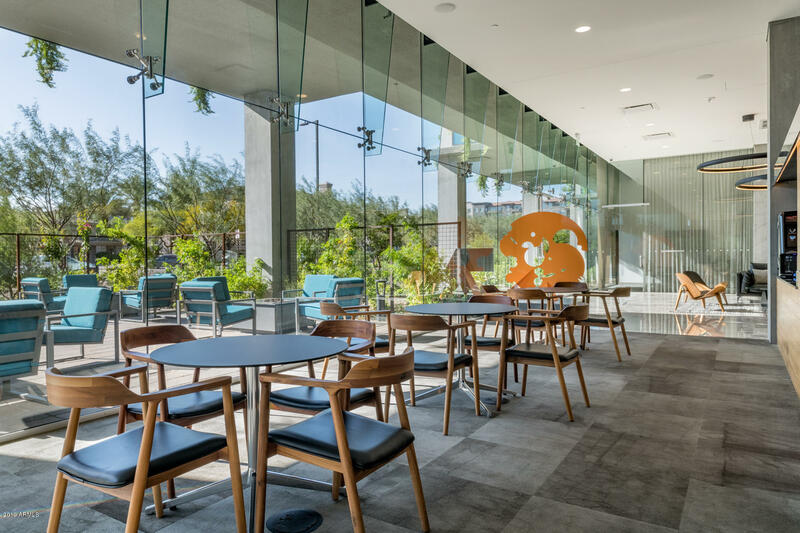 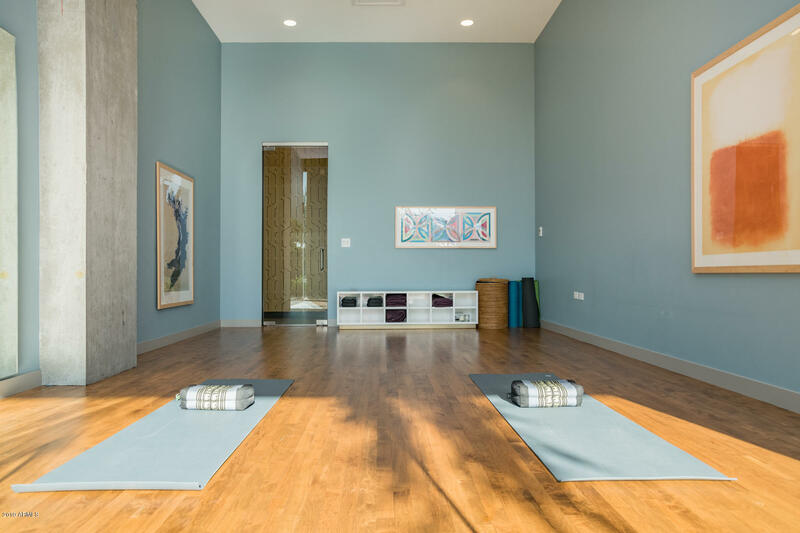 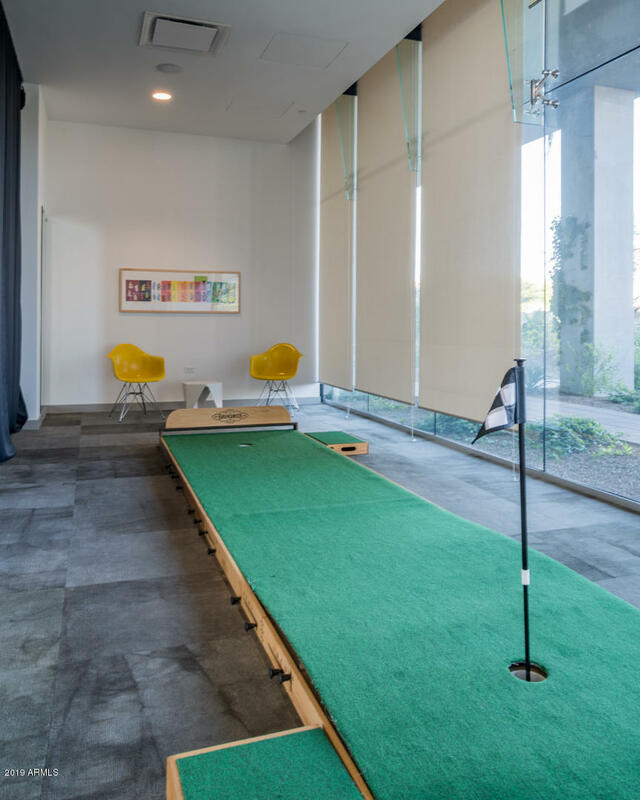 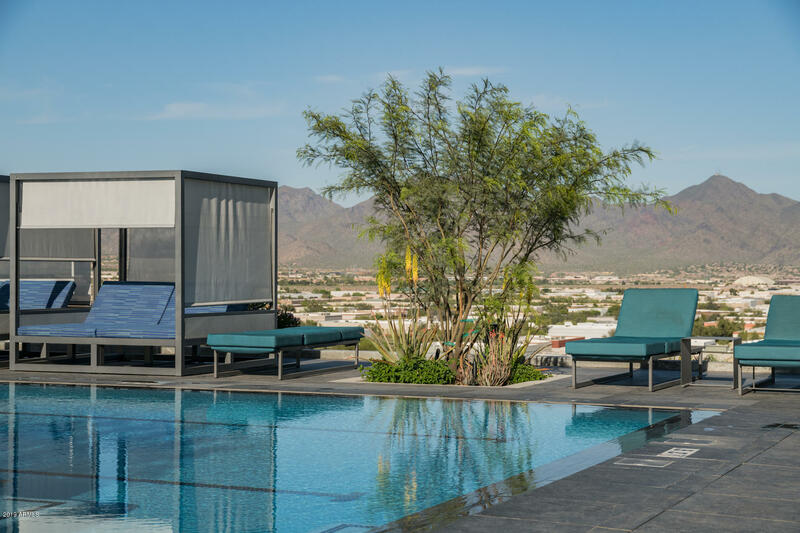 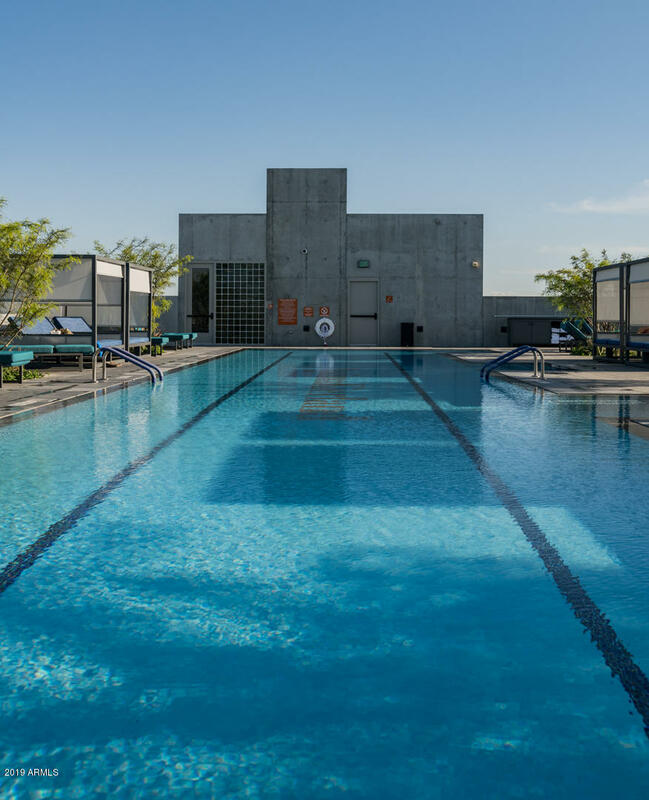 Plus, you'll have access to beautiful amenities including a lobby coffee bar, vertical landscape, indoor basketball court, rooftop pool, virtual golf, BBQ grills, onsite gym, sauna, and steam rooms. 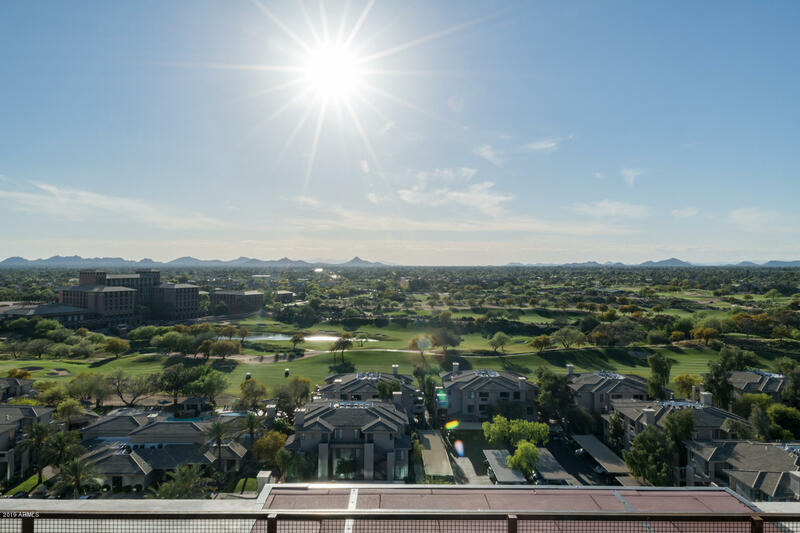 And let's not overlook that amazing view! 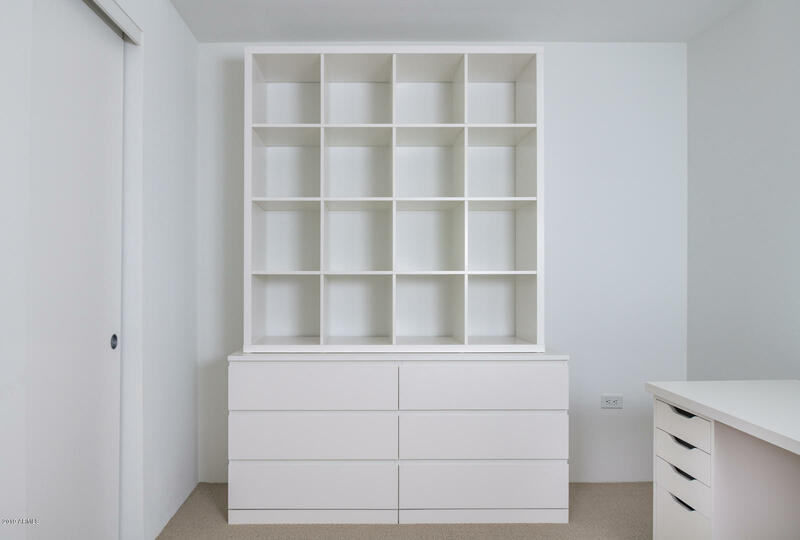 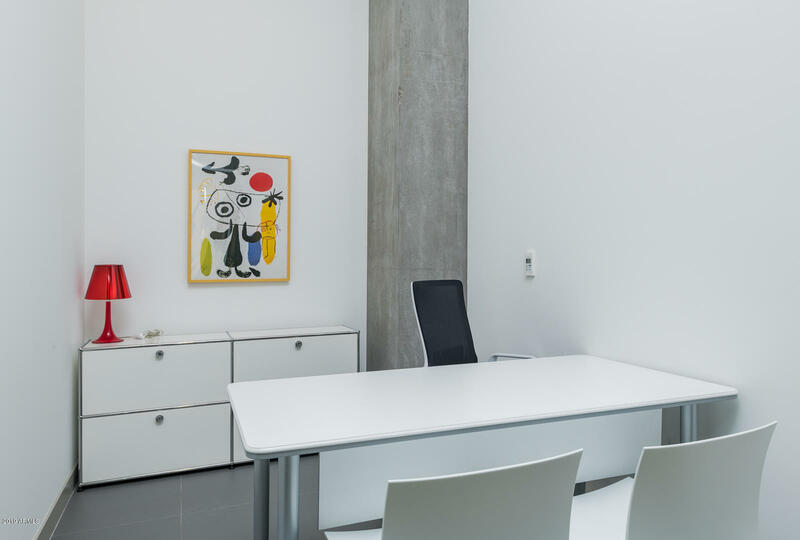 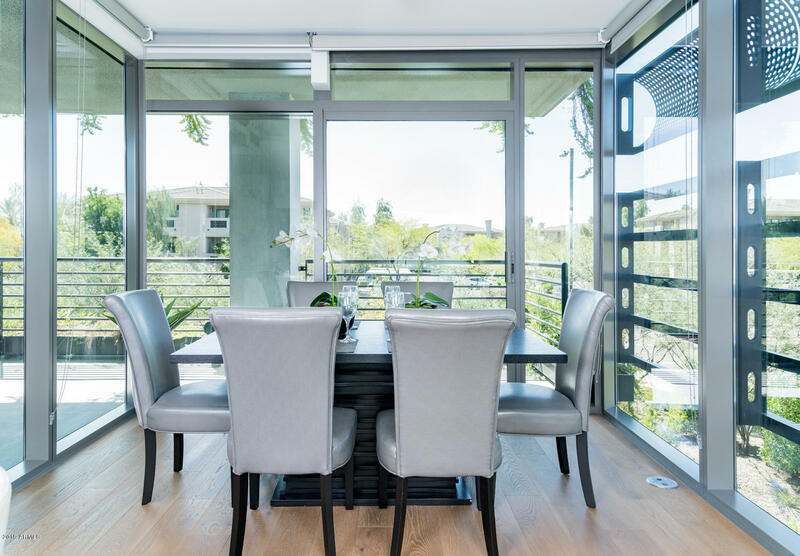 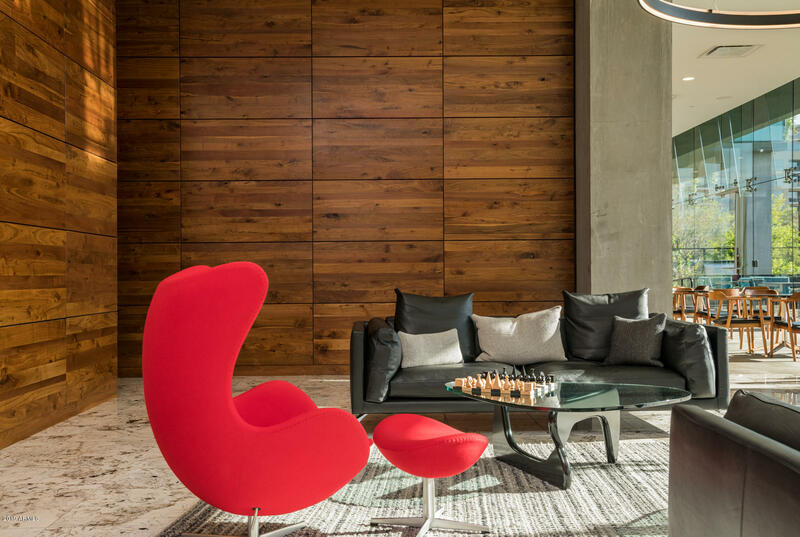 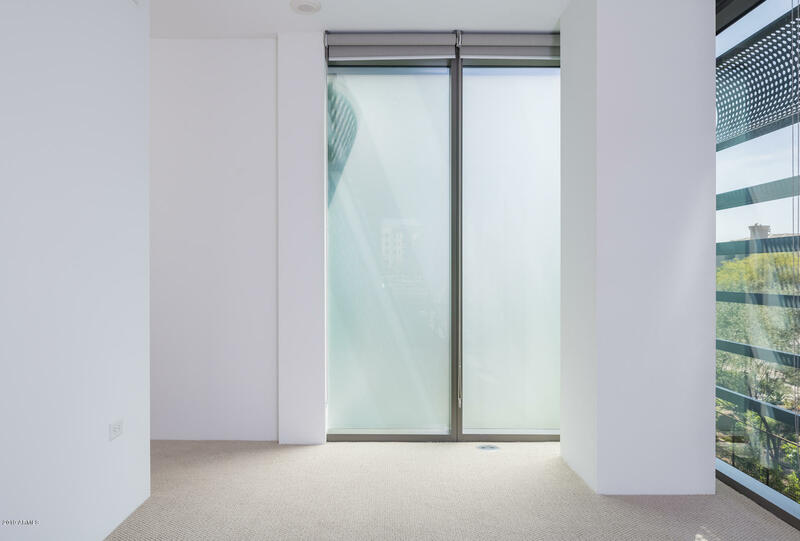 Inside, you'll find a thoroughly modern feel with an abundance of light filling each room. 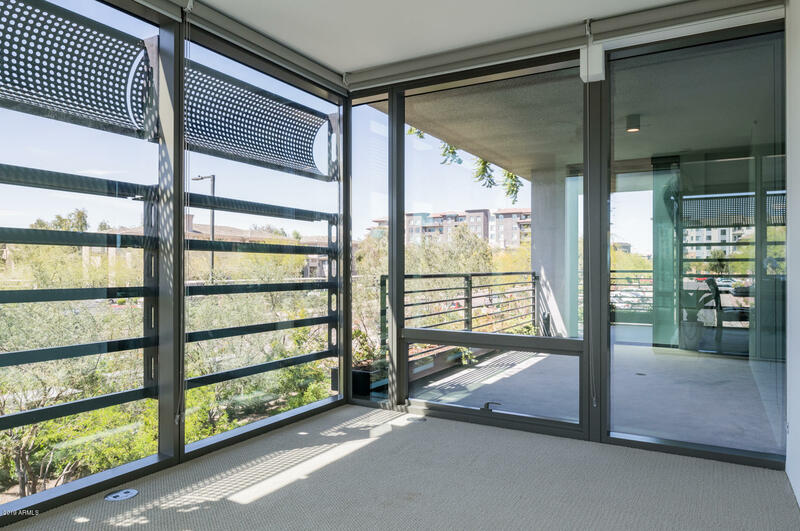 In fact, the living area has windows and a wraparound balcony, bringing the outdoors inside. 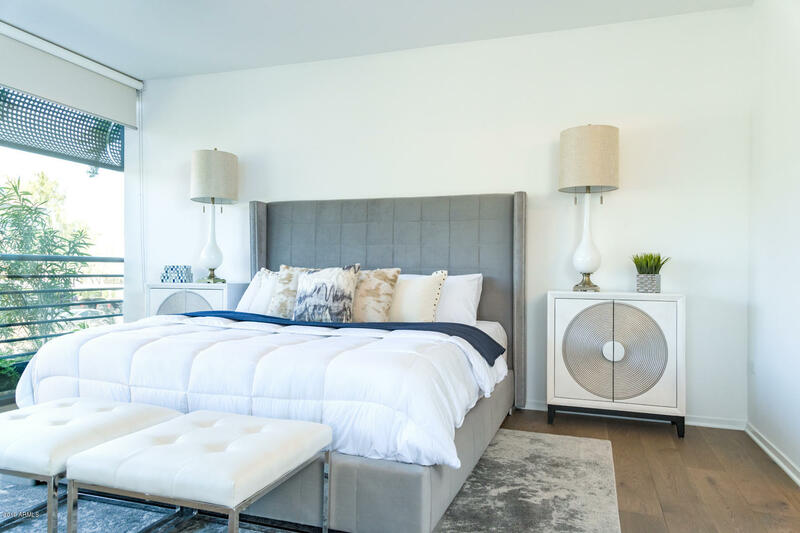 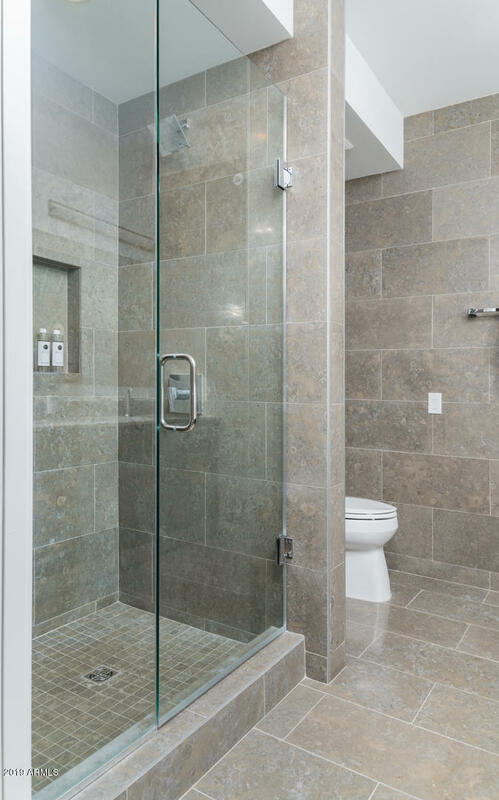 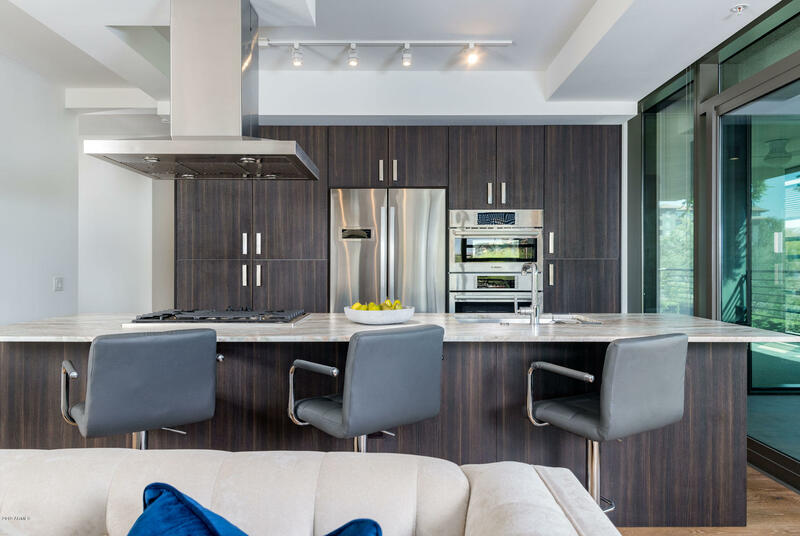 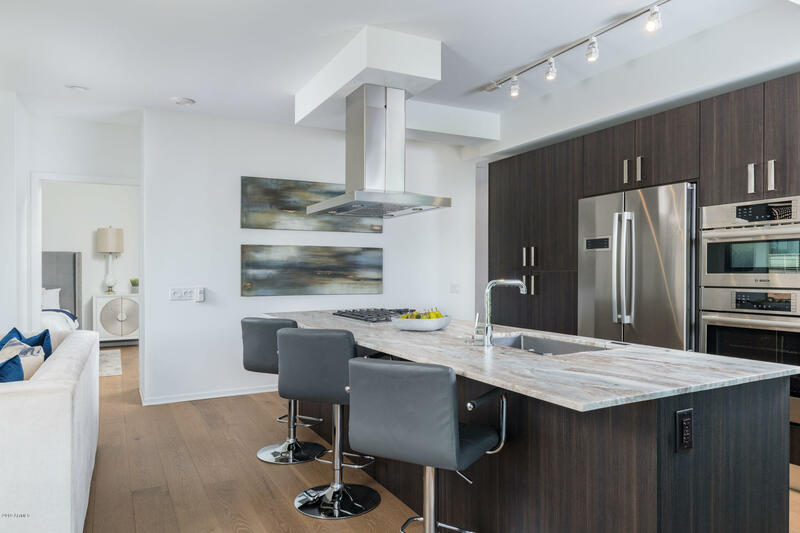 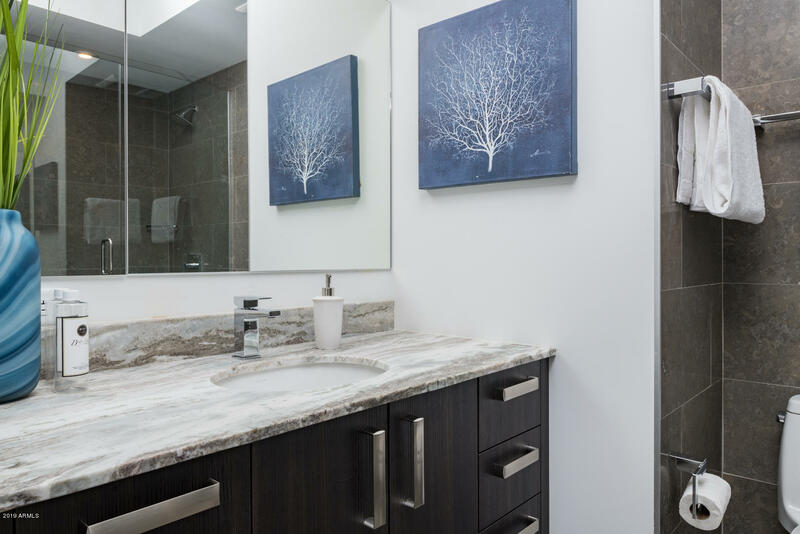 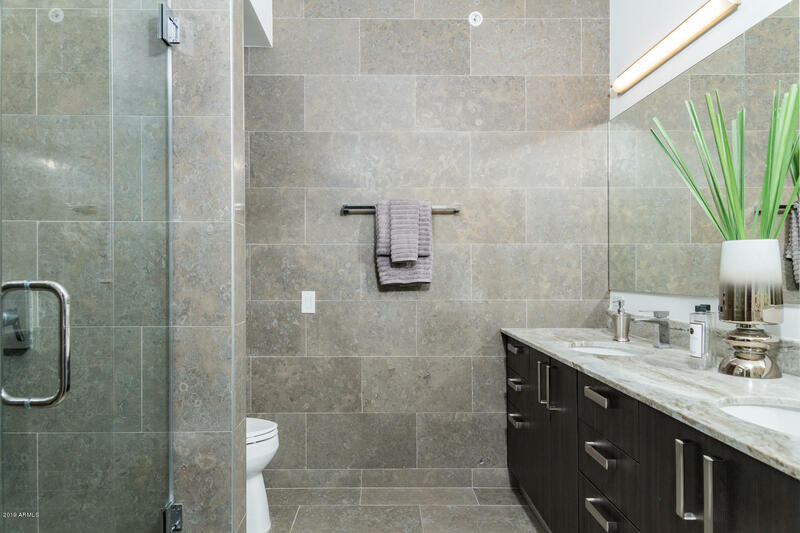 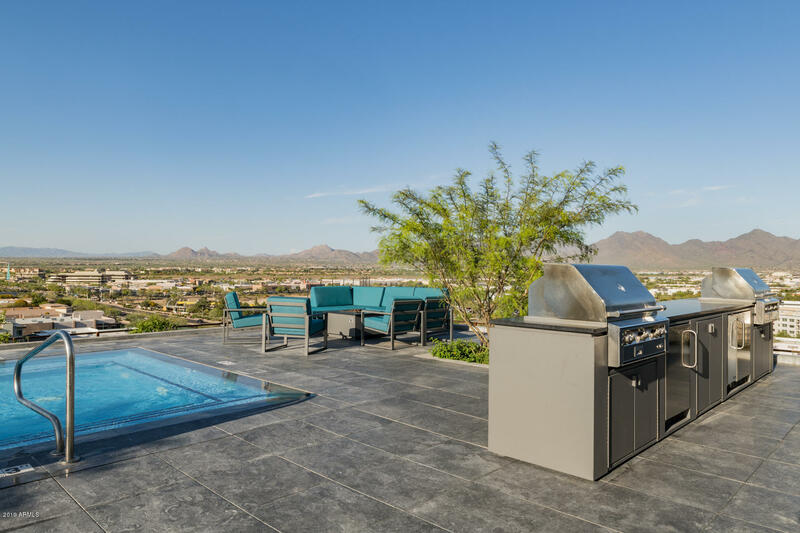 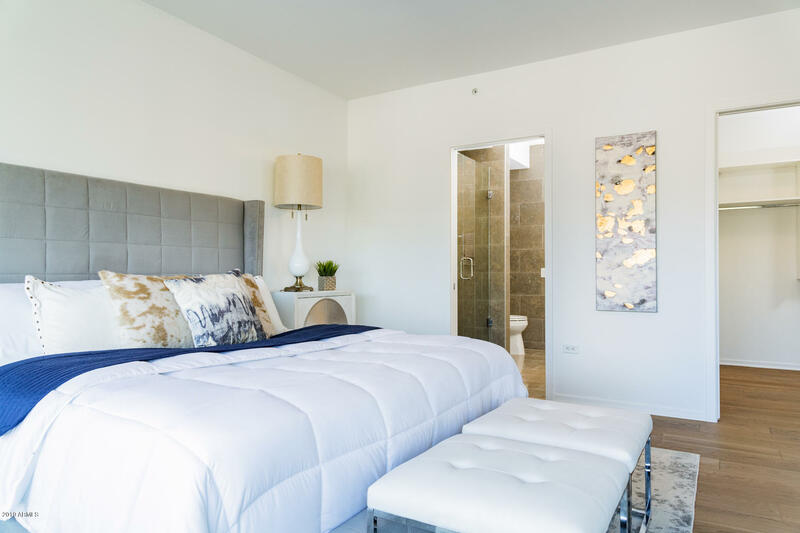 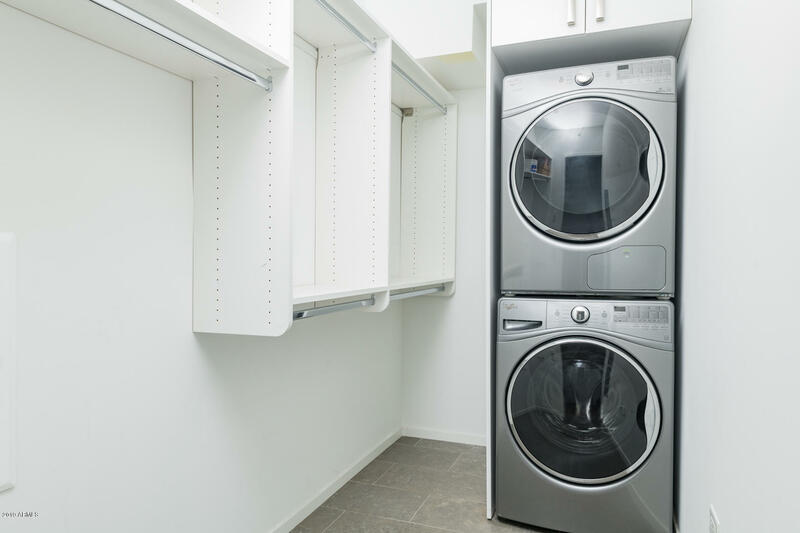 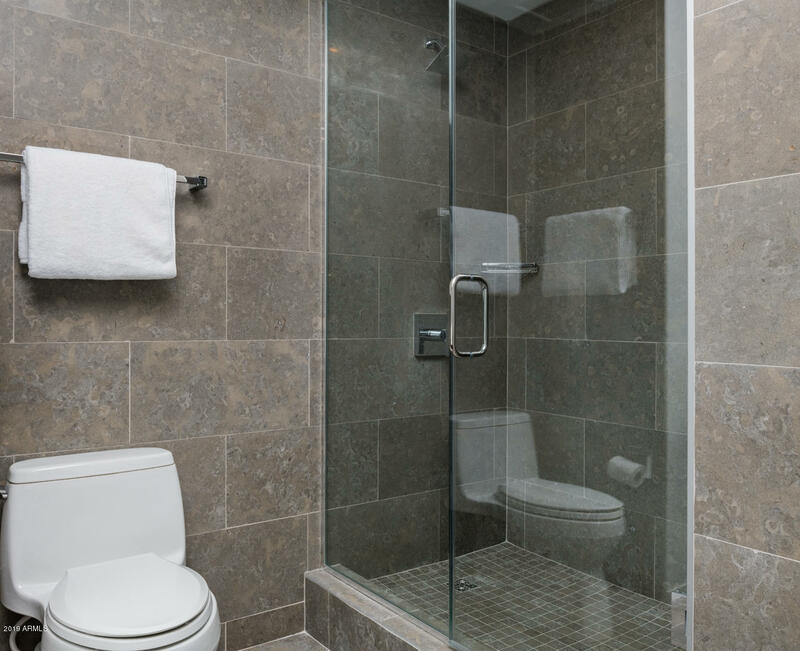 Luxurious touches abound, including close built-ins, granite countertops in the kitchen and baths, glass shower enclosures, stacked washer and dryer included, stainless-steel fixtures and appliances, and internet. 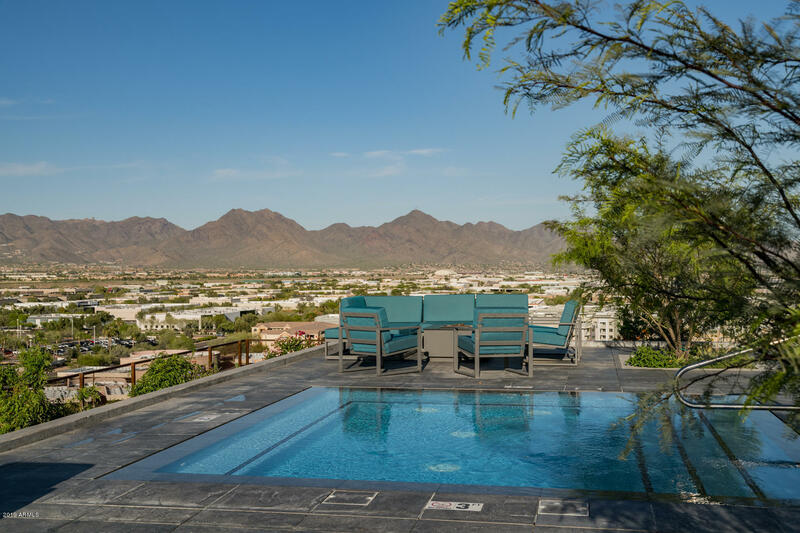 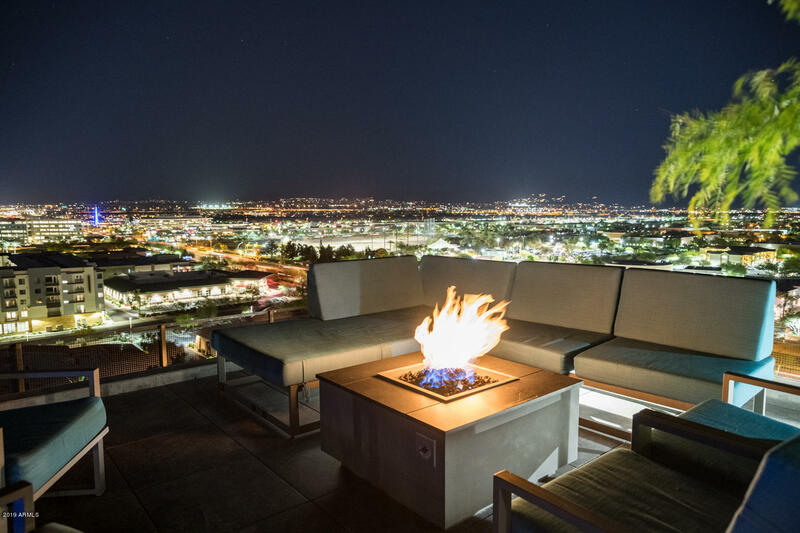 This is the perfect location for the modern family who wants to be in the center of it all, close to activities, nightlife, hiking and biking, and highly rated Kâ“12 schools.